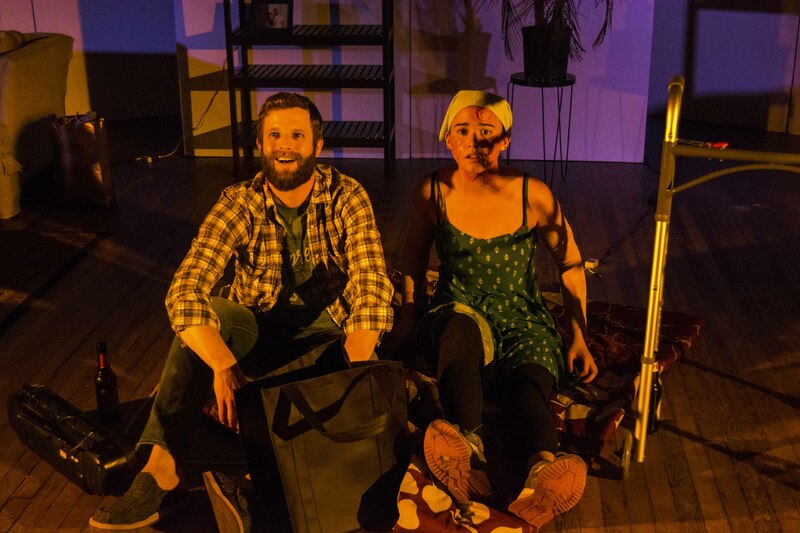 This weekend, Second Stage presented a retelling of “Ugly Lies the Bone,” the story of a veteran with disabilities returning home and recovering using virtual reality therapy. The play partnered with Antonio Farias and the Office of Equity and Inclusion to start a conversation about veteran life after war, centering on veteran students coming to Wesleyan as a part of the recently developed Posse program, which is geared towards helping veterans receive a liberal arts college education. To instigate these kinds of discussion, members of the student and faculty body on campus were invited to three dinner talks, each highlighting different aspects of veteran life. The show itself included two Posse veterans, Daní Rodriguez (Kelvin) and Ryan “Doc” Polk (Stevie), who both acted and served as advisors in production. Although Weinshank has no direct connection to the military, she knew she wanted to make a larger impact with her theater work. The interest in this play specifically began four years ago, when she witnessed a reading of “Ugly Lies the Bone” that was composed simply of five actors on an empty stage. Shortly after the election, Weinshank, whose previous experience consisted mostly of acting, received the opportunity to put on her own production. Shaken by recent political events, she turned to her professor, Kim Weild, for advice on how the arts could take on a greater role in instigating change. “Ugly Lies the Bone” is the result, and the dinner talks helped expand the conversation both on and off the stage. The first installment of the dinner series featured Weild, the second was led by Farias himself, and featured Brian Barkman Jr. ’19, a Posse army veteran, and his wife Sara Laurenzi, who served in the air force. Professors Quiara Hudes and Eddie Torres led the third talk, as Hudes had written a trilogy of plays about an air force veteran, and Torres had served in the military himself. 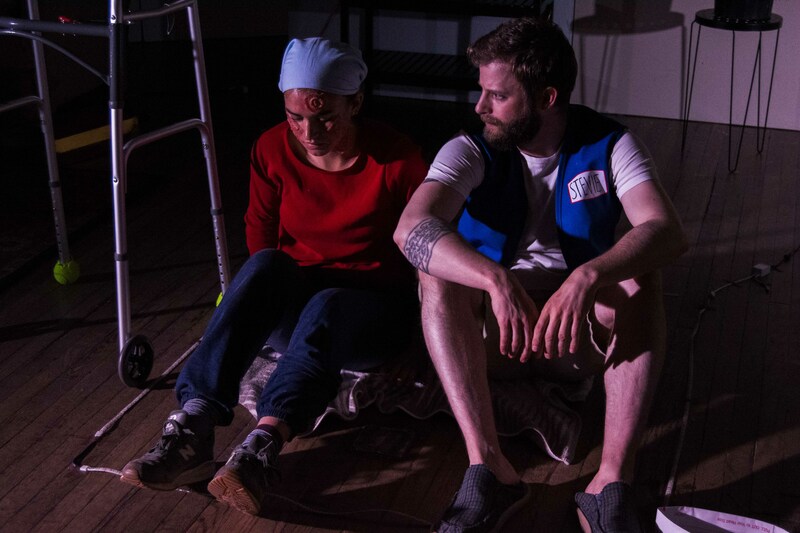 The play deals with several challenging aspects of soldiers returning home, including the search for work, old flames who have moved on, and family members trying to support their own lives when a loved one is deployed. Doc Polk ’19 plays Stevie, Jess’s ex-boyfriend, who is now married and unable to continue their old relationship. One of the more pivotal scenes in the show features Kacie, Jess’s sister (played by Uma Dieffenbach ‘17) arguing with Stevie, showing him all of the effort she puts into taking care of Jess and her injuries. Jess has just suffered a PTSD attack, and Stevie realizes that she is not the same person she was before the war. Polk himself experienced a change in self when returning home, and expressed frustration with friends and family members who attempt to “fix” him or pretend those changes don’t exist. Polk began attending Wesleyan University to pursue a career in journalism, and eventually go back to report on the war. He took a theater course by chance, and found an emotional outlet in acting. Polk found that acting helped him relate to others, including his service dog, Archie. He now plans to continue his loves for writing and acting beyond Wesleyan. 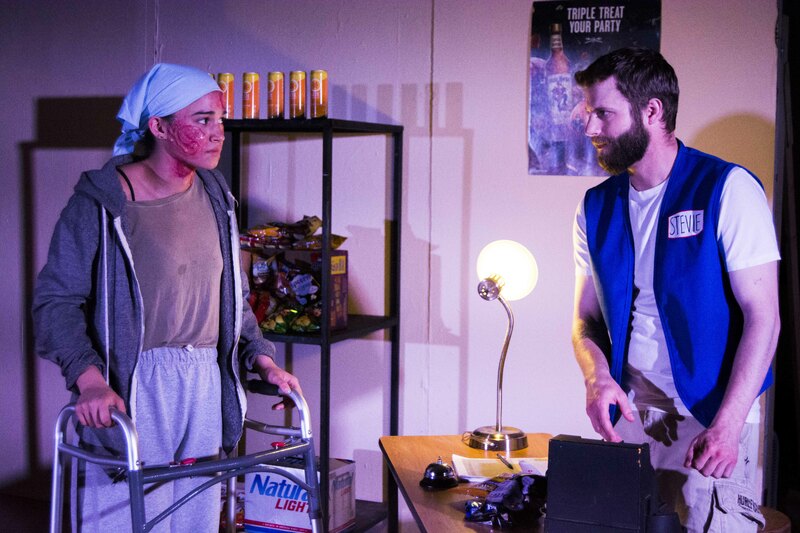 Aside from the dinners, veterans and families of veterans were invited to their own showing of “Ugly Lies the Bone” Saturday afternoon, featuring an additional talkback with the cast. Weinshank invited Maurice Decaul, a playwright who had been involved in the first production of “Ugly Lies the Bone,” to lead the talkback. Members of Posse as well as local Middletown veterans shared their thoughts about the play, and listened to the actors’ process. One Middletown resident, Anthony Gaunichaux, served in several conflicts including Korea and Vietnam. Gaunichaux expressed considerable relief in sharing experiences with other vets.